Thanks to the work of Cleveland Metroparks and Western Reserve Land Conservancy, a 102-acre City of Brecksville property once under threat of development, has been conserved in perpetuity. 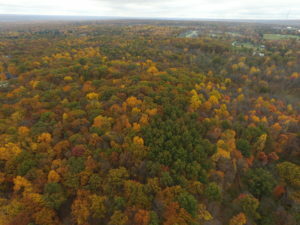 Known as Brecksville Upland Preserve, the Cuyahoga County property is located between Parkview and Snowville Roads. It is just one parcel removed from both the Cleveland Metroparks Brecksville Reservation and the Cuyahoga Valley National Park. 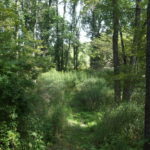 Both Cleveland Metroparks and the Land Conservancy secured public funding to complete the project including a $1.75 million grant from the Clean Ohio Conservation Fund, a $300,000 grant from the Land and Water Conservation Fund, and a $474,575 grant from the Ohio Forested Habitat Fund. Western Reserve Land Conservancy got the property under contract in late 2016, acquired it in late 2017 and immediately transferred it to Cleveland Metroparks for long-term ownership and management. 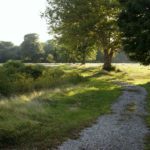 As part of the funding requirements, the Metroparks granted a conservation easement to the Land Conservancy to permanently conserve the property. The easement allows for passive park activities, such as hiking and wildlife observation. The property largely consists of mature forest canopy dominated by red, black and white oak species, as well as tulip tree and shagbark hickory. The forest canopy is beneficial for many migratory bird and bat species, including several listed species of concern like the Cerulean Warbler and Little brown bat. Notable migratory species, like the Acadian Flycatcher, Scarlet Tanager, Rose-breasted Grosbeak, Hooded Warbler, and Ovenbird, have also been documented in the area. Additionally, the property boasts more than 2,000 linear feet of headwater streams to the Cuyahoga River. These streams have been known to harbor the state-declining southern redbelly dace, a cold water minnow species. The parcels comprising the Brecksville Upland Preserve property were zoned for single-family residential development. A subdivision plan had been designed for those parcels which included 46 proposed sub lots. Development of the property would have severely fragmented the existing surrounding greenspace.